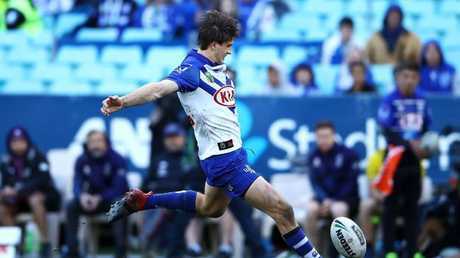 CANTERBURY young gun Lachlan Lewis has slotted a clutch field goal to jag a 27-26 NRL win over New Zealand and throw a speed bump in front of the Warriors' NRL finals ambitions. 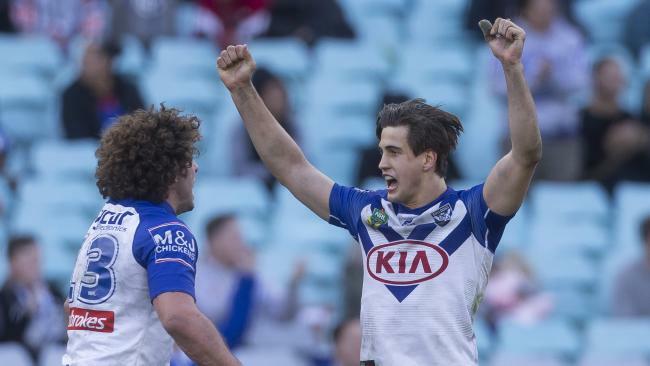 The Bulldogs upset the Warriors after their five-eighth booted a 30m one-pointer in the 79th minute to quell a Warriors fightback. The visitors rallied from 20-12 down at halftime to lock up the scores with three minutes remaining. However Lewis - who turned 22 on Sunday - showed nerves of steel to slot the the winner for his side's seventh victory of the year. The result leaves the Warriors two wins ahead of the ninth-placed Wests Tigers with two games remaining. The Warriors must win either of their contests against Penrith and Canberra to assure their first finals berth since 2011. 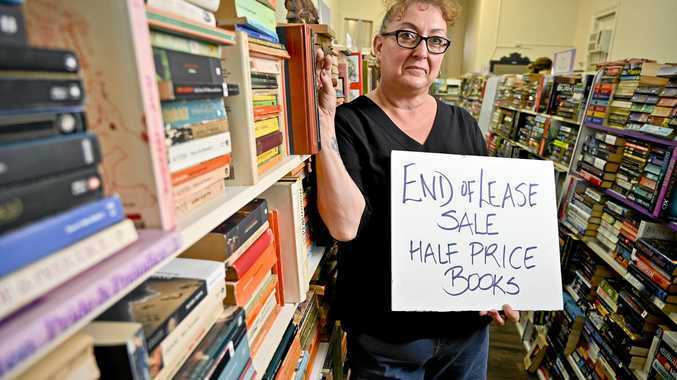 They also blew a chance to move into a share of fourth with St George Illawarra, Penrith and Cronulla on 30 points. After the Warriors trailed 20-12 at the break, David Fusitu'a dotted down to reduce the margin to four after Will Hopoate turned the ball over on his own try-line. The Dogs swiftly replied when Brett Morris leapt over Fusitua'a to bat the ball back for twin Josh to make it 26-16 after 53 minutes. Fusitu'a moved to second on the NRL's try-scorers list for the season when Shaun Johnson fired a cut-out pass to make room for him on the outside to set up a grandstand finish. And when Adam Blair took the ball to the line and popped a late offload in traffic to Peta Hiku, the scores were locked up 26-26 with three-and-a-half minutes remaining. But just when the Warriors looked like they were on the march, Lewis slotted the winner for one of the Dogs' best wins of the season. The Bulldogs led 20-12 at halftime after Lewis scored on the back of a Kerrod Holland break. 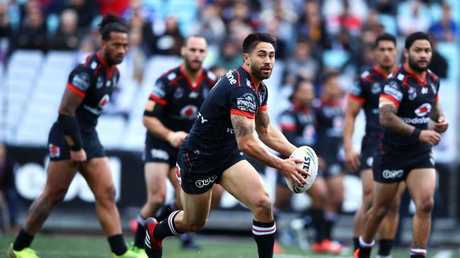 CANTERBURY 27 (A Elliott L Lewis J Morris R Smith tries R Martin 5 goals L Lewis field goal) bt NZ WARRIORS 26 (D Fusitua 2 G Beale P Hiku R Tuivasa-Sheck tries S Johnson 3 goals) at ANZ Stadium. Referee: Gavin Badger, Jon Stone. Crowd: 9,688.